ECOMI is a security, economy, and digital ecosystem, which utilizes blockchain technology in three primary areas – Protection of private keys, real-world cryptocurrency payments, and the exciting new world of digital collectibles. ECOMI is bringing 4 products to market: - Secure Wallet (completed) - At the size and thickness of a credit card, this true cold storage wallet is never wired to an online device, and can store private keys for 20+ currencies, NFT's and DApps. ECOMI Collect (see https://www.ecomicollect.com/)- The MVP of the ECOMI ecosystem, a platform to bring licensed and recognisable digital collectibles to the mainstream. ECOMI One- an all in one payment card solution, combining secure cold storage with everyday convenience. Can store 20+ crypto's, fiat, and any NFC enabled card e.g. loyalty cards, existing credit/debit cards. ECOMI Vault- a SAAS solution combining decentralised storage with cryptographically protected access for all your sensitive data + information. Market research and planning; Corporate Structuring; Information Memorandum. Key manufacturing relationships; Company Scalability Framework; Production Agreement Signed; Seed funding round opens. White Paper commencement; FMA Application; Advisor and Board requirements; ECOMI One R&D Commencement. Seed funding round closes; Smart Wallet product completed; ECOMI Token Private Sale; White Paper completed; ECOMI Collect 3 x license secured. Share acquisition of manufacturer; Token Crowdsale Conclusion; ECOMI team expansion; ECOMI Collect scope completion; ECOMI App scope completion; ECOMI Vault scope completion; ECOMI One scope completion; Secure Wallet Updated App release. Secure Wallet TGE reward dispatchment; ECOMI One R&D Completion; Secure Wallet 10 more currencies; ECOMI App v1 release; ECOMI Collect MVP; ECOMI Collect 6 x licenses secured; Exchange Listing. ECOMI One physical prototype; Secure Wallet 10 more currencies; ECOMI Vault MVP; ECOMI Collect beta release; Secure Wallet Wholesale distribution; Exchange Listings; ECOMI Collect AR release. ECOMI Collect public release; Secure Wallet - 10 more currencies; ECOMI App v2 release; ECOMI Collect 10 x licenses secured. ECOMI One public launch; ECOMI Vault public release; ECOMI Collect public release; Exchange Listings. 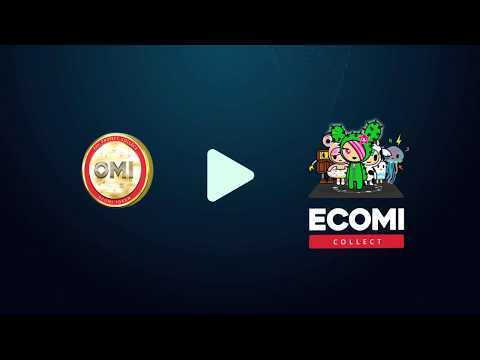 ECOMI Collect Gaming MVP; ECOMI Collect 15 x licenses secured; ECOMI One Wholesale distribution; Secure Wallet - 10 more currencies. ECOMI Collect Gaming release; Secure Wallet - 10 more currencies; Exchange Listings. Weave, the universal cryptocurrency for virtual and augmented reality.